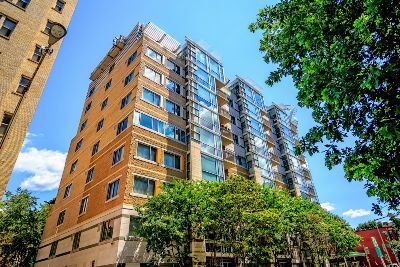 Offering true luxury and recent construction, Solo Piazza is a nine-story condominium in Washington DC's Logan Circle neighborhood. Located at the corner of 13th Street N and N Street, the large structure pays homage to European sensibility, including a throwback nod to the International design movement of the 1970s that was typified by boxy front balconies and an overall linear look. Cultivated by Furioso Development and delivered in 2002, the 77-unit building features Italian themes such as an inner courtyard—or piazza to quote the building’s name—with tranquil fountains and breezes wafting gently through stands of bamboo. Adding to the effect are Solo Piazza’s curvilinear inner walls surrounding said courtyard, with continuous linear balconies wrapping all the way around a half-circle shape. Yes, you can sit, relax and soak in the Zen ambience of it all. 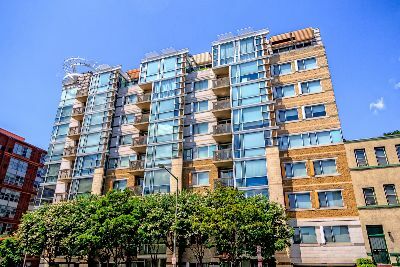 Condos for sale at 1300 13th Street NW have recently been priced between $389,900 and $849,900.There are a number of different floor plans ranging from 673 to 1,450 square feet, and all residences enjoy the above-mentioned inner terraces overlooking the central piazza. Many of the units also have the boxier outer balconies. Gas fireplaces are common to most of the residences and giant floor-to-ceiling windows are standard issue. The spacious open floor plans are complemented by beautifully minimalist gourmet kitchens with white Poggenpohl cabinets, stainless steel appliances and Italian granite counters. Bathrooms are similarly appointed. Residents at Solo Piazza enjoy plenty of common amenities, starting with a two-story lobby with front desk and concierge service. There’s secure underground parking and a fabulous roof deck with stunning city views. And at the risk of being repetitious, don’t forget the courtyard with its burbling water features and leafy bamboo. Care to sip a Sambuca while hanging out on your curved terrace? The neighborhood is also awesome—right smack dab in the middle of Logan Circle's bars, restaurants, coffee shops and bakeries, with yoga studios and fabulous live thespian stuff at Studio Theatre. Also nearby is the popular Logan Hardware as well as the Logan Tavern, with second-hand clothing stores and of course, a Whole Foods. You can basically walk anywhere, including to multiple Metro rail stations. The nation’s capital is known for its historic row houses and other traditional architecture. But the city is also changing as well. So why not have a luxury condominium complex with an Italian name and a somewhat unlikely combination of architectural styles? From the boxy street-side bays and balconies to the sweeping streamline curved terraces overlooking a round rear cut-out, Solo Piazza comes together as a unique residential complex.